Surrounded on three sides by a stunning sandy beach, La Dune des Sables is a leading LuxCamp that can be found in the enchanting Vendee region of France. 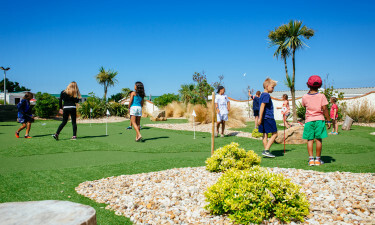 This luxury camping site is ideal for families, as there are plenty of things for people of all ages to do here. Guests who stay at La Dune des Sables will be greeted each morning by enchanting beach and ocean views. While this is sure to set the mood for pure relaxation, sports such as basketball and table tennis. Why choose Camping La Dune des Sables? 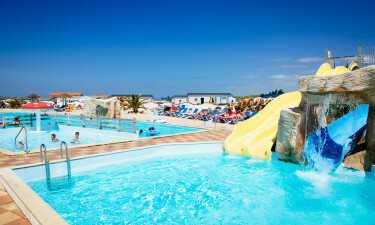 Having fun in the sun is easy at La Dune des Sables as the site boasts its own water park complete with waterslides. The little ones will also be able to splash around in safety due to the adjoining wading and paddling pools. After checking into their spacious and modern mobile home, most guests at La Dune des Sables will want to head on down to the beach. 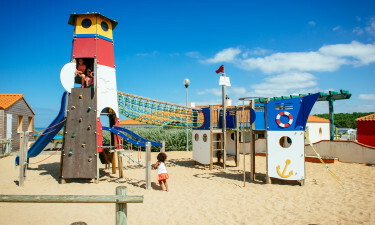 Private access is provided so that the whole family can enjoy the seaside camping holiday of a lifetime.